The POCito Iris goggles are the perfect kids goggle for the little shredder. 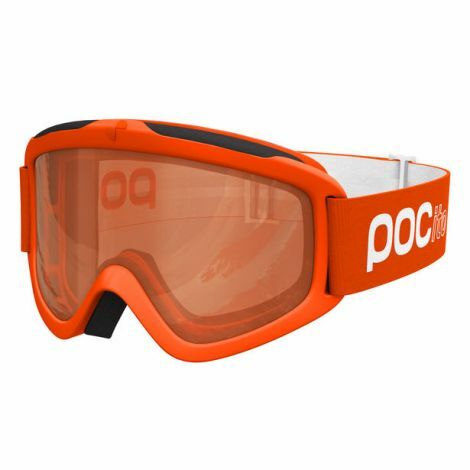 They are identical to POC's adult Iris goggles, just smaller! So, there is no compromising for your precious little one. POCito Iris has been designed and developed for kids but has the same qualities as the adult versions and the versatile double lens enhances contrast and protection. The goggles have a soft PU frame with a triple-layer face foam for an optimal fit and the silicone grip on the inside of the strap makes sure they stay perfectly in place. When combined with anti-fog and anti-scratch technology this goggle becomes the perfect goggle for your little shredder.